Close on the heels of a viral video in which a Kodagu (Coorg) teenager faulted chief minister H.D. Kumaraswamy for his partisan budget neglecting Kodagu district, the chief minister is paying an official two-day visit to the district from July 19. 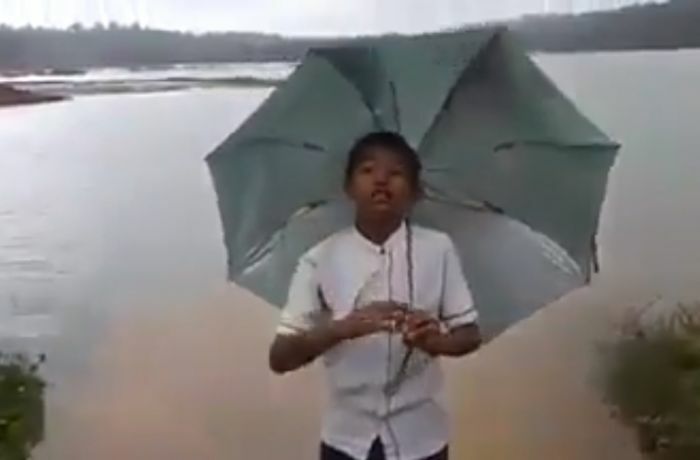 Kalera Fateh (in picture), a Class VIII boy of Yemmemadu village in Kodagu district, took Kumaraswamy to task for his failure to provide relief to Kodagu which has been battered by flooding due to heavy rains. Kumaraswamy’s budget has come to be termed as a ‘Vokkaliga budget’ as the chief minister has rained goodies on areas dominated by the members of his community in the old Mysuru region. The chief minister who has come under attack for the partisan budget has tried to deflect attention by shedding tears at a meeting of his JD (S) party by claiming that he was not happy being the chief minister. Bravo, dear youngster…. You have stirred up the CM to get up from his chair and realise the realities of life. Thank you Suresh. Unless we act upon now, funds may end up with the corrupt hands.